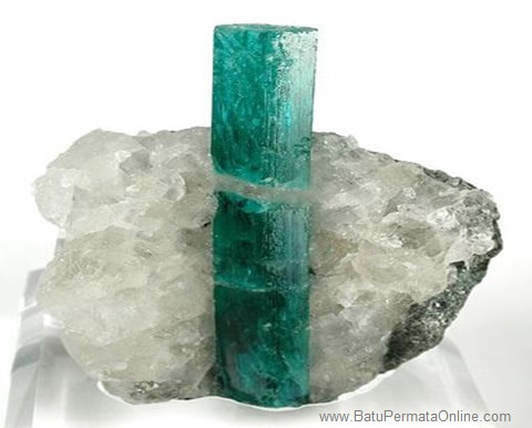 Emerald is a green gemstone, a specimen from the mineral family Beryl. They are found in igneous rocks, and sedimentary rocks in a small number of locations around the world. For more than 5000 years, Emerald has become one of the most desirable and valuable colored gemstones. 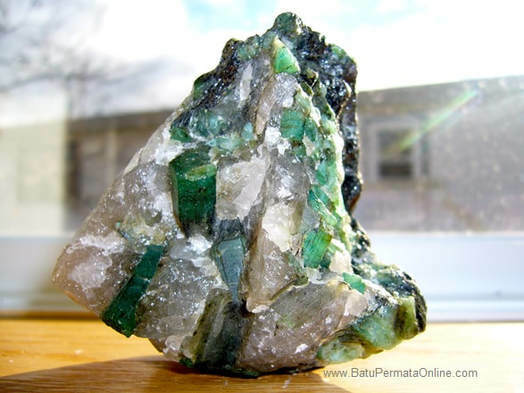 ancient civilizations in Africa, Asia and South America discovered emeralds and made the most valuable gemstones. Today emeralds, together with Ruby and Sapphire, form "three major types of gemstones" from colored stones. 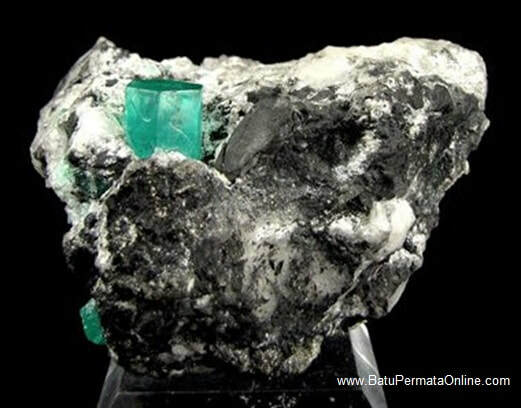 Beryl (mineral from Emerald stone) is a variety that has a chemical composition of Be3Al2 (SiO3). 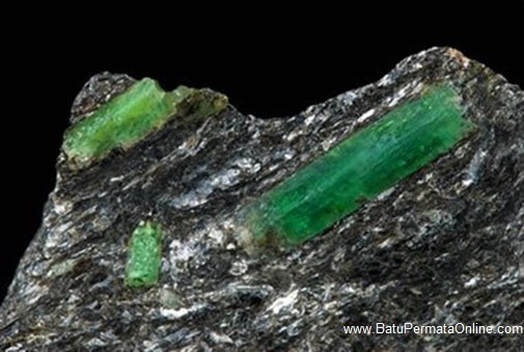 The content of chromium or vanadium in minerals in emeralds is the cause of the green stone. the amount of trace iron will color the bluish green Emerald or yellowish green color depending on its oxidation state. Emerald crystal photos on mica schist from Malyshevskoye Mine, Sverdlovsk Region, Southern Ural, Russia. Large crystal emeralds are about 21 millimeters in length. Green Russian Emerald Color to brass. merald Crystal from Kagem Emerald Mine, Zambia. on the quartz matrix and schist mica. this specimen is about 6.5 cm high and has a blue-green color and is a little dark.